Have you read Slaughterhouse, The Omnivore's Dilemma and Eating Animals? have you watched Food, Inc.? 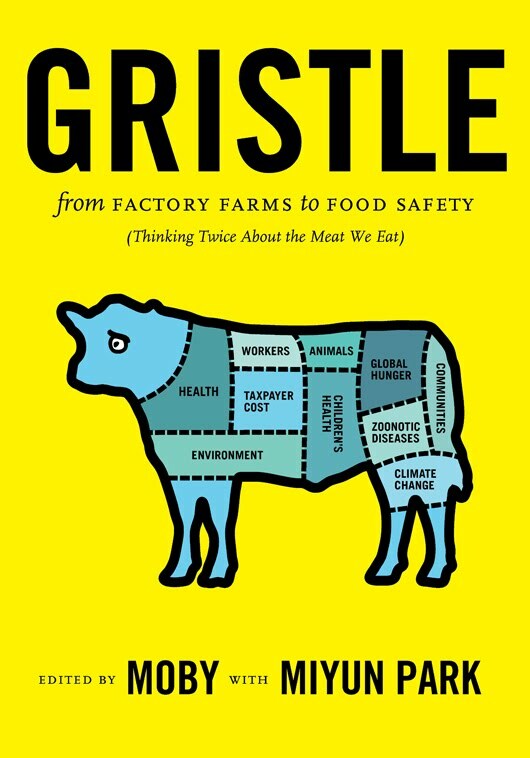 Learn even more about the meat we consume and "how and why industrial animal agriculture unnecessarily harms workers, communities, the environment, our health, our wallets, and animals," and help farm animals at the same time by purchasing Gristle: From Factory Farms to Food Safety (Thinking Twice About the Meat We Eat). Coeditors Moby (Grammy-nominated musician) and Miyun Park (executive director of the Global Animal Partnership) are donating all their earnings from this graphics-packed book to nonprofits benefiting farm animals.